One evening in the long hot summer of 1976, my Father called me in from playing football ‘roon the back’. Reason was that Archie McPherson was on television and relayed us with the news that the Hibs captain Pat Stanton had signed for Celtic. 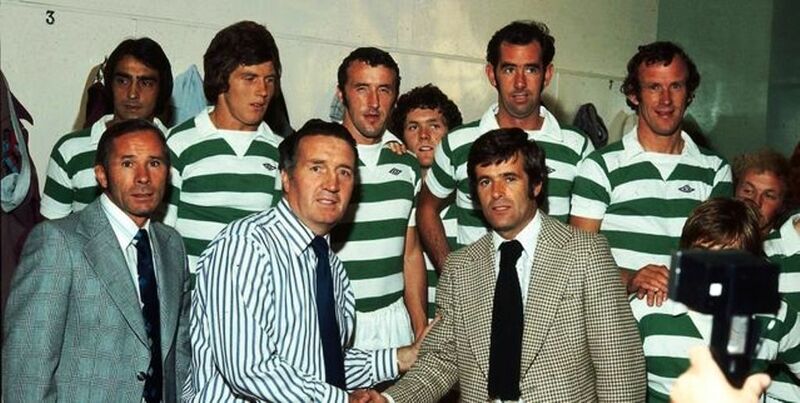 This was surprising to say the least because in the early to mid 1970’s, to all intents and purposes, Billy McNeill was Celtic, John Greig was Rangers and Pat Stanton was Hibs. 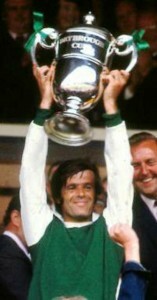 Pat had been at Easter Road for his entire career since 1962 and was now 32 years of age. My first thought was ‘Aw Naw’ as I perceived him as an old man who was past it. My Dad, however, was ecstatic as he was a long time admirer and knew Stanton’s experience would be an asset to the Celtic team. Jackie McNamara senior moved to Hibs in an exchange deal between the two clubs. In all the articles I have written so far about ex Celtic players I have generally excluded details of their careers at previous clubs, but I am making an exception with Pat Stanton, because to appreciate how truly good he was you have to know about his time at Hibernian. The Hi-Bees had decent teams in Pat’s time there but he saw many of his contemporaries leave in big money deals to bigger clubs. 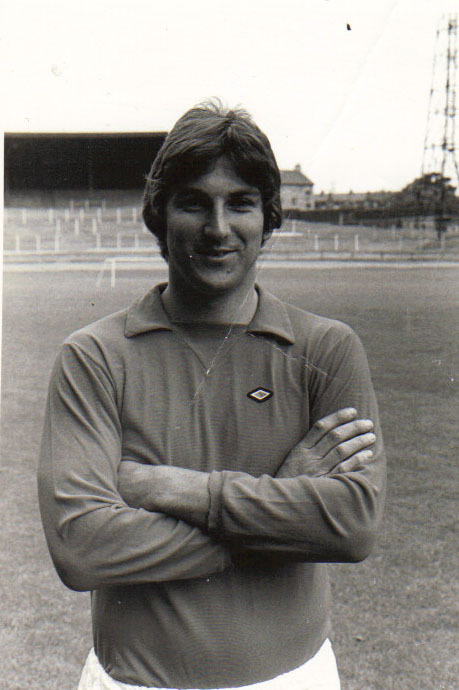 Peter Marinello, Peter Cormack, Colin Stein and Alex Cropley all moved on but Pat, always Hibs’ greatest asset, remained loyal. Make no mistake if Pat Stanton had moved to a decent English side at the peak of his career then he would have been the Scots version of Bobby Moore. He made twelve appearances for the Scotland international team and he is on record at expressing his disappointment at not gaining more caps. However, there was stiff competition for the right half position with Dave Mackay, Pat Crerand, Bobby Murdoch, John Greig, Billy Bremner and Davie Hay all vying for that role through the years that Pat was at Easter Road. He was, arguably, the greatest Captain in Hibs’ history and led his team to six Hampden finals within five years and the huge irony is that they were ALL against Celtic with Hibs winning three and Celtic three, although it’s worth pointing out that the three Celtic won were by the scorelines of 6-2, 6-1 and 6-3. 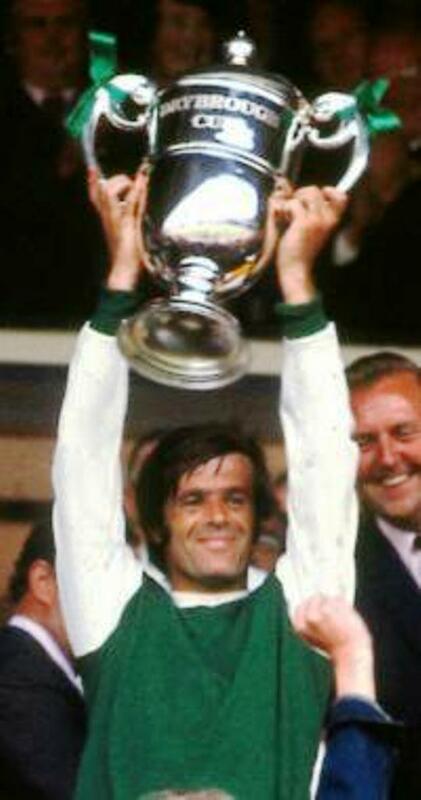 In the 1972 League Cup Final Pat was the man of the match and inspired Hibs to victory over a great Celtic side by scoring once and creating another spectacular goal for Jim O’Rourke. On the European stage Hibs had several notable performances also. In 1968 they beat Napoli by 5-0 in the old Fairs Cup competition with the legendary Italian goalkeeper Dino Zoff in goals for the Italians (one wonders if Zoff ever lost five goals again). In 1972 Hibs hammered Sporting Lisbon 7-1 which was a spectacular result which made all of Europe sit up and take notice. In 1973 Hibs held Don Revie’s great Leeds side 0-0 in both legs and lost narrowly by 5-4 on penalties, Pat Stanton having the agony of missing the vital kick, and in 1975 Hibs were six minutes away from knocking Liverpool out of the uefa cup until a defensive blunder cost them the tie. Liverpool actually went on to lift the trophy later that season. Between 1972 and 1975 Hibs were desperately unlucky not to win a league title and had it not been for Jock Stein and his excellent Celtic team of that period they would almost certainly have done so. Also, this Hibs team played with a flair that few Scottish clubs have matched before or after. Their forward line of Edwards, O’Rourke, Gordon, Cropley and Duncan remains one of the best that I have seen in my lifetime of watching football. 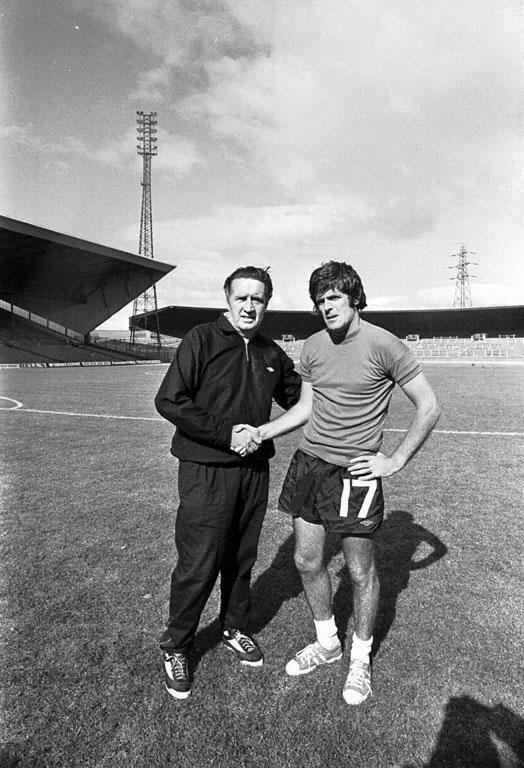 However, towards the end of his time at Easter Road, Pat had fallen out with Hibs’ manager Eddie Turnbull, who, by all accounts, could be a difficult character, although it was still a shock when Turnbull agreed to Pat’s move to Parkhead. Pat made his Celtic debut in the heat of a Glasgow derby against Rangers and inspired Celts to a creditable draw after they were 2-0 down. 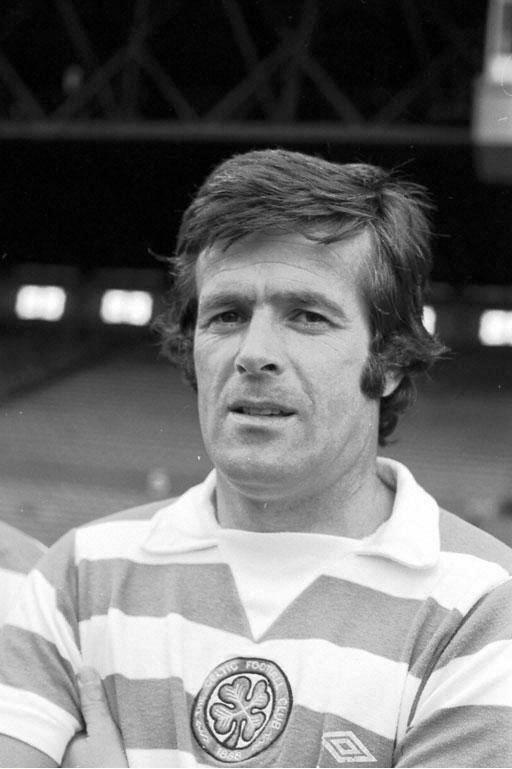 After a short settling in period he began to show his true worth and was a great help to Peter Latchford and Roddy MacDonald who had chequered Celtic careers up until that time. Pat was a superb organiser and Celtic’s defence improved considerably. The only disappointments in the season were the defeats to Aberdeen in the League Cup final and in Poland against Wisla Krakow in the uefa cup and it’s fair to say that had Pat not been cup tied for those games then the outcome could have been in Celtic’s favour. In his earlier career Pat had been a fine attacking right half (old fashioned term for a central midfielder) but Stein knew that he was perfect for the role of sweeping up behind a centre half. On April 16th 1977 Pat travelled to Easter Road knowing that Celtic required one point to lift the title. Hibs chairman Tom Hart banned the television cameras from the game citing his protest against extensive television coverage but he fooled no one as old Tom just couldn’t bear the thought of Celtic and Stanton lifting another title on his patch. He was so spiteful that he even banned the Celtic film club from filming it for posterity. Celtic won 1-0 and Pat had at last got his hands on a League winners medal. A month later he had the chance to complete a domestic set of medals against Rangers in the Scottish Cup final. As the Celtic team sat in the dressing room before kick off with Jock Stein giving them instruction, a ball boy delivered ‘a telegram for Pat Stanton.’ Somewhat confused, he opened it, and it was from his old Hibs team mates O’Rourke, Blackley and Gordon wishing him good luck for the big game. It was a magnificent gesture and Pat was faultless for Celtic and played a big part in the 1-0 victory. The domestic set of medals was now complete. That summer Celtic won a prestigious tournament in Australia by beating Arsenal and Red Star Belgrade (Pat was sent off against Red Star for retaliation) and Celtic looked forward to the future with optimism and a decent run in the European Cup. The league flag was raised on August 13th against Dundee United and in that game Stanton suffered a knee injury and despite his best efforts he could not recover and retired from playing in 1978. It was a huge loss to Celtic and they could never truly replace someone of his character and ability in central defence for a long time. 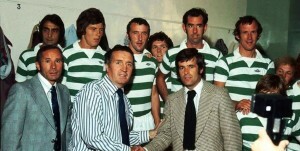 On April 30th 1978 Celtic travelled through to Easter Road to play in Pat’s testimonial game. Despite the unseasonal freezing cold weather, 25,000 fans turned out in tribute to Pat with around 10,000 Celts travelling through to bolster the attendance. The curious team line ups are often a source for quiz questions as Ralph Callachan (then of Newcastle United) and Eamon Bannon (Hearts) appeared for Celtic with Jimmy Johnstone making a cameo appearance as a substitute, whilst Alan Rough (Partick) and Joe Jordan (Man Utd) played for Hibs with Tommy Gemmell and Willie Wallace coming on as substitutes for the Easter Road men. Stanton had the privilege of scoring the winning goal from the spot although Roy Baines jumped out the way of the ball, such is the way with these things sometimes in testimonial games. 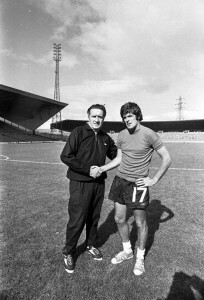 Despite only being at Parkhead for a short time Pat made a huge impression on the Celtic fans and is fondly remembered. It was a huge disappointment when he retired as he had years of good football left in him. 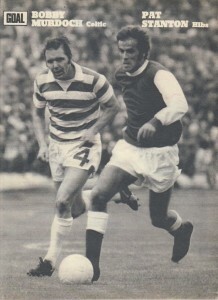 Pat Stanton was a footballer of the highest pedigree who the purists amongst the Celtic support admired greatly.